We moved from Arkansas where I birthed my first two babies at home with the same midwife. We loved her. Before too long we moved to Tennessee and I got pregnant conceived. I miscarried before it was time to find a midwife here. I called my Arkansas midwife during the miscarriage and started praying for a new, local midwife. We conceived fairly quickly after the miscarriage and asked friends who have had homebirths who they recommended. A neighbor gave me Mary Anne’s contact information and I interviewed her over the phone. It turns out that almost all of my homebirthing friends have had Mary Anne as their midwife. They all praised her and loved their birthing experiences. I shared all of this information with my husband (who is a very detailed orthodontist and thinks of great questions). We met Mary Anne and I liked her and felt comfortable with her right away. She handled all my husband’s questions, helped us understand what Tennessee homebirths are like, provided tons of information, and was very patient and kind. 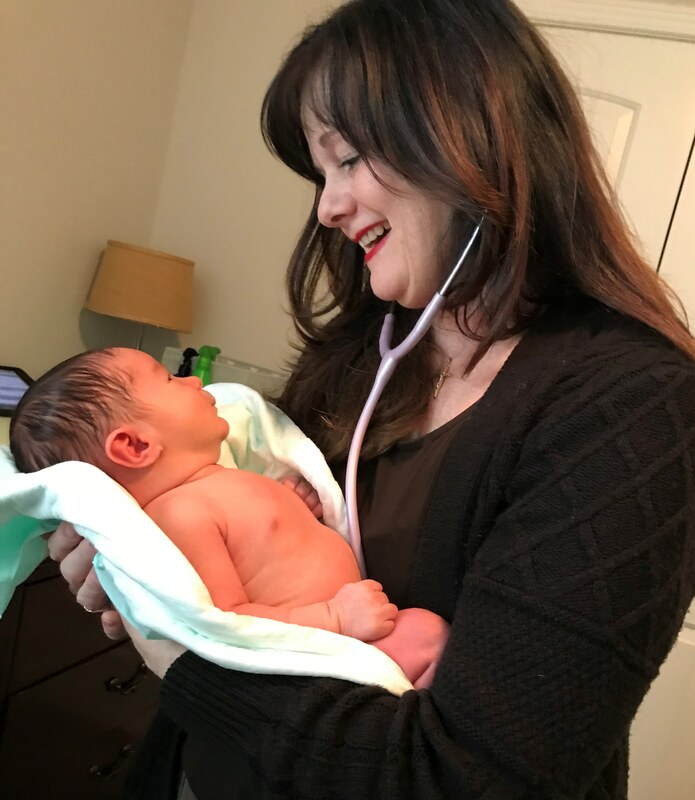 I trusted Mary Anne and could tell that she was experienced and that she truly cared about the women and babies (and families) she was working with throughout the whole process. During the course of my pregnancy I would look forward to my prenatal visits with Mary Anne. She was encouraging, uplifting with her words, a listening ear and a shoulder to cry on. I loved how professional yet relatable she was at every stage of pregnancy, birth and post-partum. This carried over into the whole birthing experience. It was about 2am when I woke up to go to the restroom. I had felt contractions a little stronger than the braxton-hicks from the past few weeks. I sat quietly in the dark timing. 3 minutes apart and 1 minute long. I wanted to be sure these were consistent and didn’t go away before I woke anyone up. My husband heard me at about 2:45 and asked if I was ok. As soon as I told him the details about the contractions he said that we should call Mary Anne. She was at our house within a short time. By 3:45AM, Mary Anne had checked me and began setting up with her assistant and my husband while I labored in bed with my worship music getting me all pumped for the birth. I felt so at peace and so thankful for such a loving, encouraging, nurturing, servant-hearted birth team that attended to me so wonderfully. Truly, I could not have asked for more. 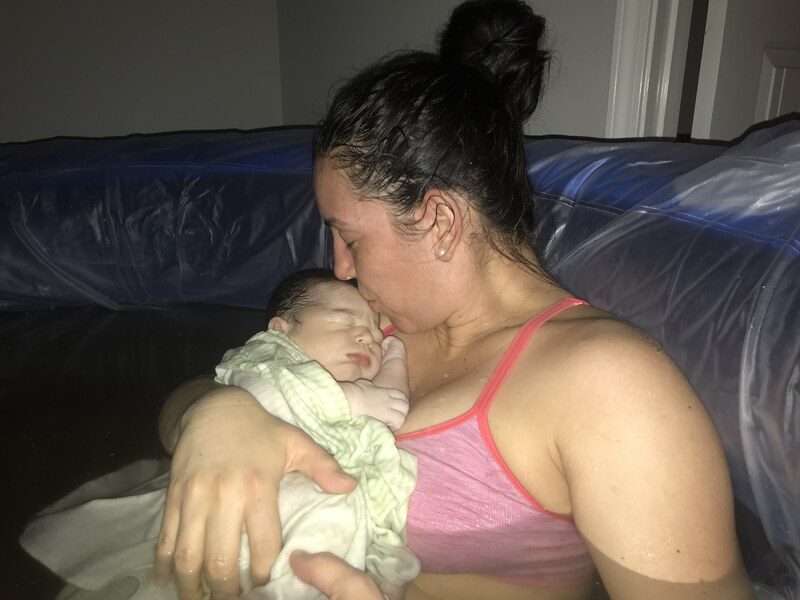 The birth pool was ready and I got in just in time for me to start the end of my laboring. 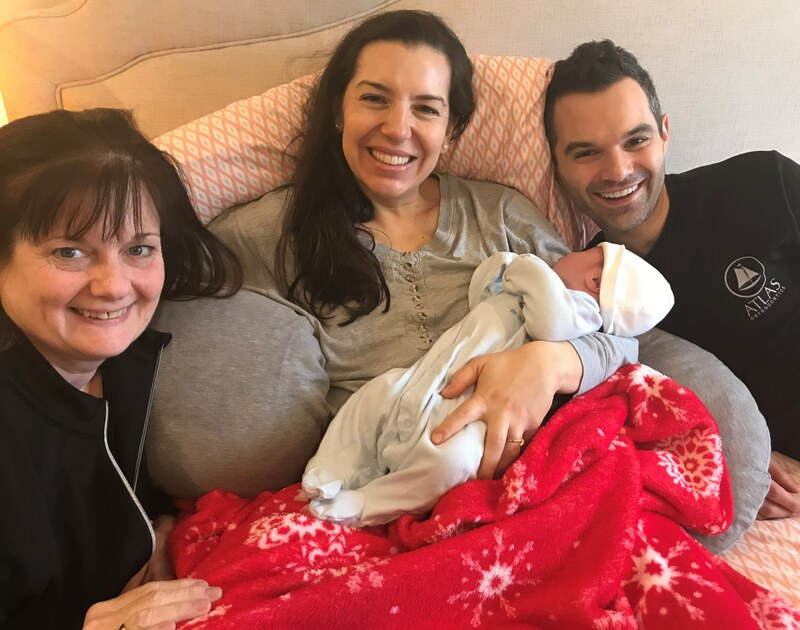 Mary Anne coached me through the pushing while my husband read Scripture over me and prayed with me and for me and the baby. I truly felt like everyone in the room was laboring with me. The communication was perfect. They were respectful of all my needs and helped me say reassured, calm, peaceful and soothed. At 6:13AM, our 9 pound 5 ounce baby boy, Daniel Elijah, was born! We were all overjoyed that all went so smoothly. I didn’t tear and my recovery was the fastest it’s ever been. I had just experienced the best birth of the 3 births I’ve had so far. 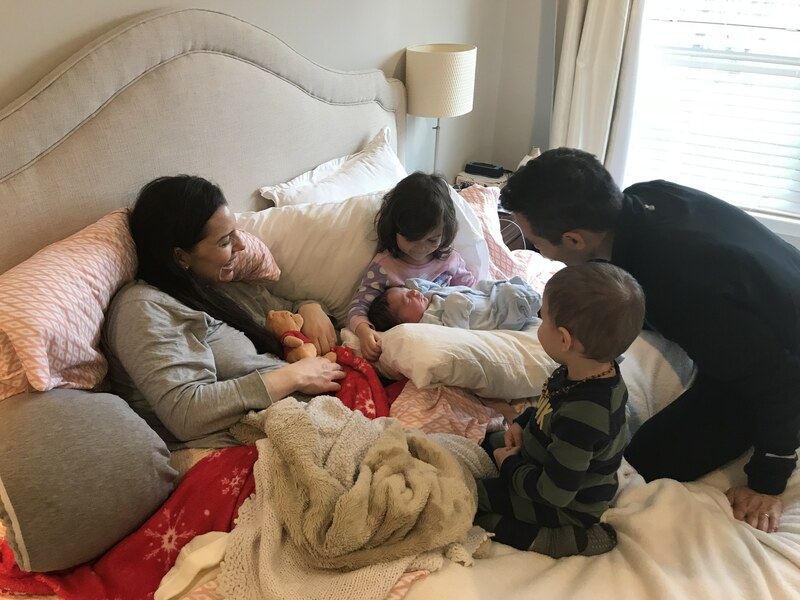 I’m so grateful for all of Mary Anne’s help, encouragement, professionalism, organization and tenderness towards me, my husband, and my 3 babies!